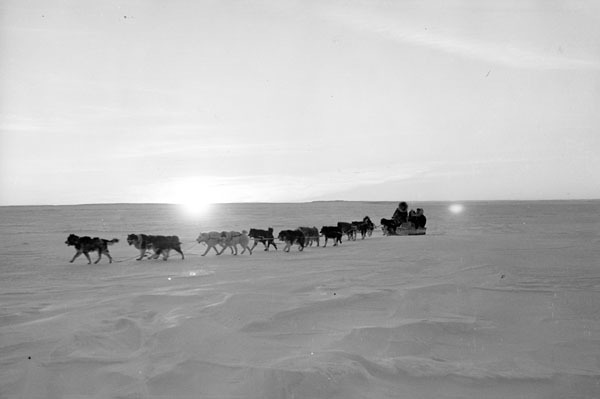 Traditionally, qimmiit (sled dogs) were an important part of Inuit culture. They represented a way of life and a connection to the land. Qimmiit were especially useful in transportation, safety and hunting. 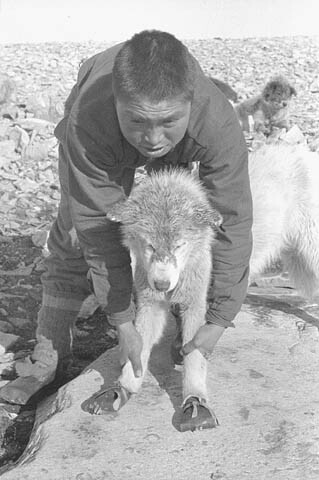 Today, however, the relationship between Inuit and qimmiit has changed, in part because of permanent settlement and a massive decline in the qimmiit population. Qimmiit have become more of a symbol or a connection to the cultural past. 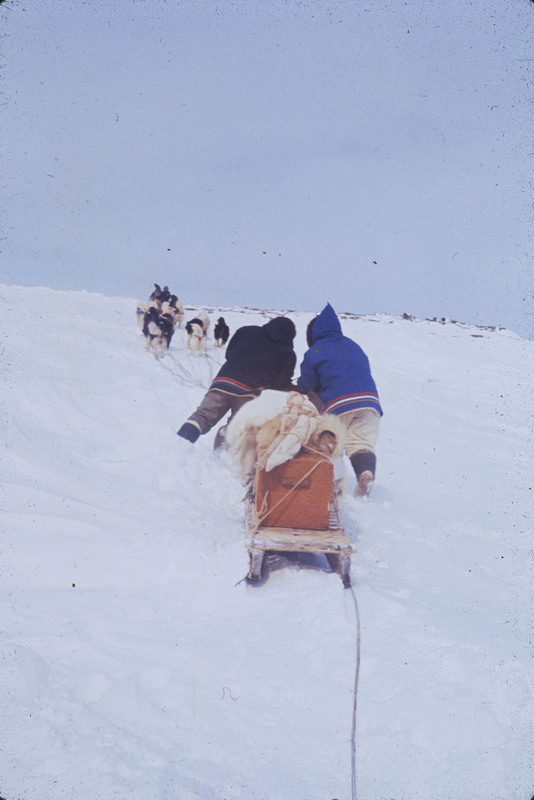 Before the snowmobile was introduced to the North in the 1960s, going by qimuksiqtuq (dog team) was the primary means of transportation to travel across the frozen land and sea. Even after the introduction of the snowmobile, some preferred qimmiit as a way to travel. In contrast to the noise of snowmobiles, travelling by qimuksiqtuq was more pleasant and peaceful. Travelling by qimuksiqtuq offered other benefits, including safety and protection. On account of their acute senses, qimmiit were useful for their ability to find their way home, or even a temporary camp, if a traveller were caught in a blizzard or a whiteout. 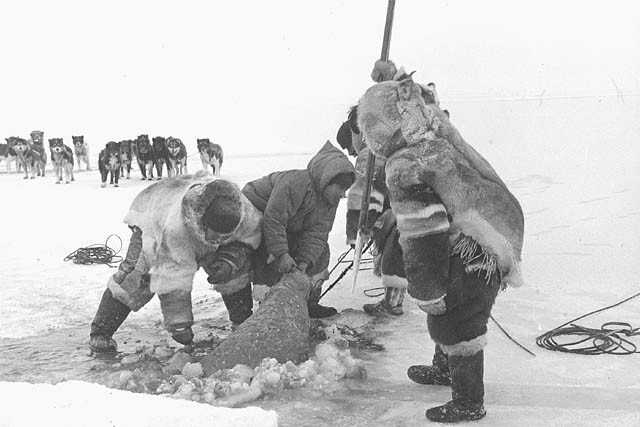 Qimmiit were also useful to Inuit for travelling safely over ice. They were better able to sense whether the ice was too thin, and were usually able to avoid such areas. Qimmiit could also spread out and disperse their weight when travelling over thinner ice, making it less likely for a sled to fall through. However, even if a qimmiq (a single dog) fell through the ice, not every dog—or the traveler—would necessarily be endangered. 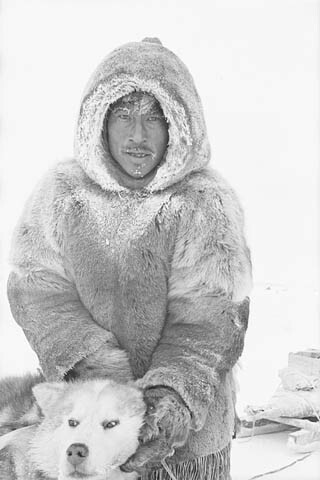 Qimmiit offered safety to Inuit in another way: from the threat of polar bears. Polar bears can be aggressive toward humans; they can pose a real danger to Inuit communities, especially travellers. Qimmiit were ideal protection, as they could warn people about bears entering a camp. Even without training, qimmiit would instinctively fight off polar bears. Consequently, Inuit travellers were able to sleep in peace and without fear when out on the land. In additional to protection and safety, qimmiit played an important role in assisting Inuit in seal hunting. Hunting has traditionally been a defining element of Inuit life and culture. While the dogs were not necessarily trained to hunt, Inuit relied on the keen sense of smell of qimmiit to sniff out the locations of breathing holes and seals. Transportation, safety and assistance in hunting were all ways that qimmiit traditionally aided life in the Arctic. 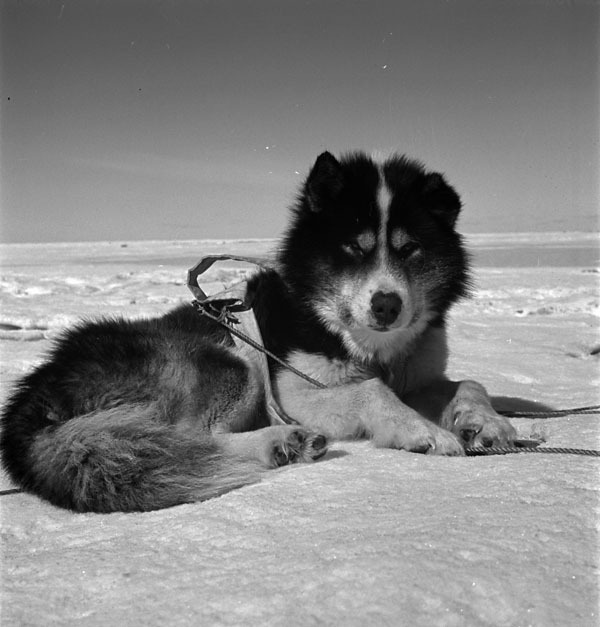 However, the enforced settlement of Inuit into permanent communities, and the dog slaughter during the 1950s and 1960s, resulted in a massive decline in the dog population. For more information on the slaughter, visit the Qikiqtani Truth Commission. In August 2011, the Quebec government offered an official apology for the negative effects on Inuit society of the mass slaughter of sled dogs in Nunavik (northern Quebec). This decline across the North created a profound shift in the relationship of Inuit with qimmiit. Today, qimmiit are mainly used for racing, which is a demanding and challenging sport. 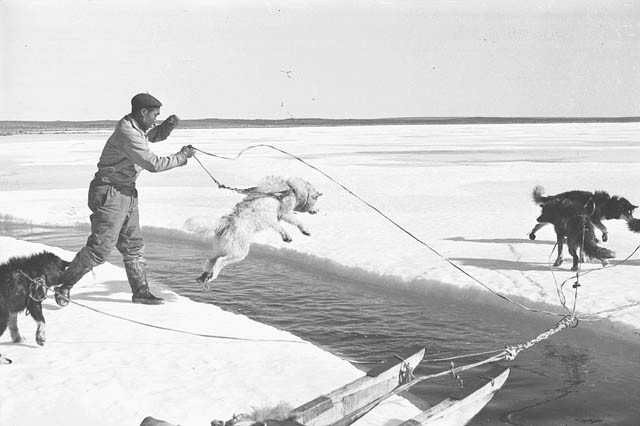 Dog racing has since become a celebrated new tradition in many Inuit communities. Laura Johnston, from the School of Art and Culture at Carleton University, is an undergraduate practicum student in the Public Services Branch at Library and Archives Canada.